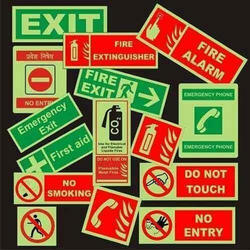 Offering you a complete choice of products which include safety sign board, auto glow signs, night glow signs and emergency exit sign. 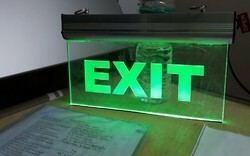 Aluminium housing with LED lighting in different colours and the graphics is done in Laser engraving. Size 12 in x6 in for best lighting effect. Available with battery backup as well. 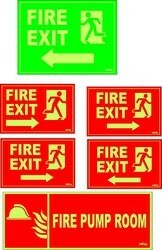 Looking for Exit Sign ?